This original, provocative study, first published in 1973, presents a new method of interpretation of mythology, and reveals the wide-ranging implications of this universal phenomenon for many disciplines. The volume begins with a sympathetic but critical examination of Lévi-Strauss’s interpretation of mythology. 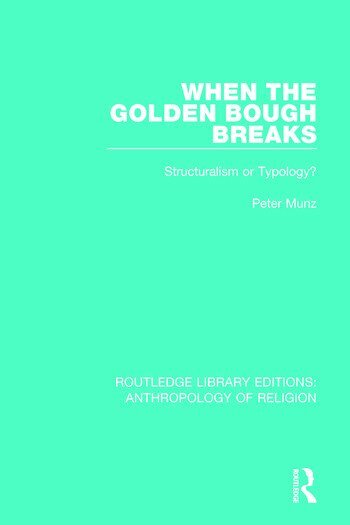 Professor Munz points out the deficiencies in structuralist interpretations, and takes Lévi-Strauss’s neglect of the historicity of all myths as a starting-point for an alternative approach to mythology. Myths, he argues, come in typological series. If the whole series is read forward to the most specific version, the myths will reveal their inherent meaning typologically.